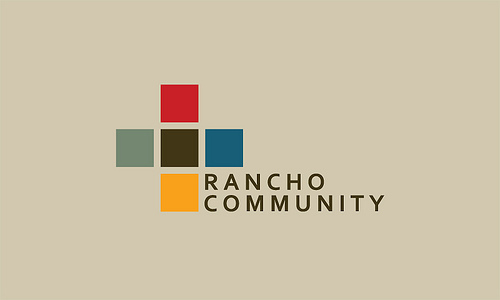 I was hired on at Rancho Community Church and School in 2009 as, “Pastor of Communications for Church & School” (I know, kind of a lame title). My basic job description was to help with the look & feel of both the church and school, and help with the internal and external communications of both organizations. I began my time at Rancho in March (February, really, but who’s counting), and basically I split my time equally between church and school – I even had two separate offices. I went to work immediately on helping re-brand the church, with Pastor Scott’s vision of five values – we landed on a really cool logo, and are currently in the process of slowly re-branding and re-skinning the church (it’s a huge process). I knew that the school would have to go through the same process, but I just couldn’t land on a look & feel… So it waited. I spent my school time trying to connect with staff and parents, to get a good idea what the vibe was over there; know what I learnt? School is VERY different than church. But I really got to get a good feel and began honing in on how we could really revitalize our look, and maybe create a whole new sense of excitement. Little did I know this was a catalyst to a pretty major change for me. (By the way, that picture up there, that’s the new School logo – pretty stoked about it). As of December 1st, I will be known as “Director of Admissions & Family Relations” for our school. I’m not really sure exactly what that all means and entails, but I do know that I get the opportunity to work with some really gifted and committed people at our school. For those who don’t know, our school is pretty amazing – it encompasses preschool through 10th grade, and currently has about 750 students. This is a great opportunity to learn and grow – it’s a challenge. I get to work with our admissions department, marketing, public relations – really creatively marketing our school. I get to be on the same campus where my kids are going to school. We’ll be going through a major look & feel overhaul – which I love! I get to use leadership gifts, serving the staff and sharing some of the things I’ve learned, and hope to learn. I get to reside in one office – this is new for me, I’m usually mobile. I get to work closely with school parents (our customers) to help make sure we as a school are serving their needs in a way that honors Christ and meets the highest standards. I’m pretty sure I’m not qualified for this position – I NEVER thought I’d be a school administrator. I’ve been a pastor for the past 12 years – that’s been my identity, this is new. And yes, “pastor” is relative – there are tons of “pastors” out there who don’t pastor, and I realize that this is ministry – it’s just a little funky & I’m trying to be real. I guess what I am saying is that I will continue to “pastor” even though I won’t have the title. (this is a whole ‘nother post). School is a different atmosphere than church, it scares me a bit (actually, a lot). I could fail pretty hard-core and it wouldn’t be pretty. I “get” to work in one office – this means I’m not as mobile as I’m used to being. I think I have to dress better. Did I mention that I could fail at this job? Anyway, just thought I’d let everyone know what is up. I will continue to be very involved with the church, especially with the look & feel, graphic design, working with our Ministry Communications team, and working closely with our Executive Pastor, Don Hallworth (who, by the way is a stud, my mentor, and an all-around amazing guy) – Don and I strategize on a number of things pertaining to our church and I wouldn’t trade that for anything. I can’t believe how God continues to show himself faithful to our family, not only meeting our basic needs, but giving us the desires of our hearts. If you think of us, please keep us in prayer as our family adjusts to what this means for us as a family, and as I adjust to this new role personally. We’d appreciate any prayers. Thanks for readin’ (hopefully I can get back on the blog every-once-in-a-while).